Even if you’ve never used it, there’s a good chance that you’ve at least heard about Reddit. Though there are other sites like Reddit, it’s one of the most popular social sites where everyone goes to get or to give information. Inside Reddit, there are sub-communities called subreddits. In these communities, you can interact with thousands of others users that like the same things as you. It’s some of the best subreddits that make things interesting and give an advantage to Reddit as compared to its alternatives. If you still don’t know what subreddits are, let me explore it further. 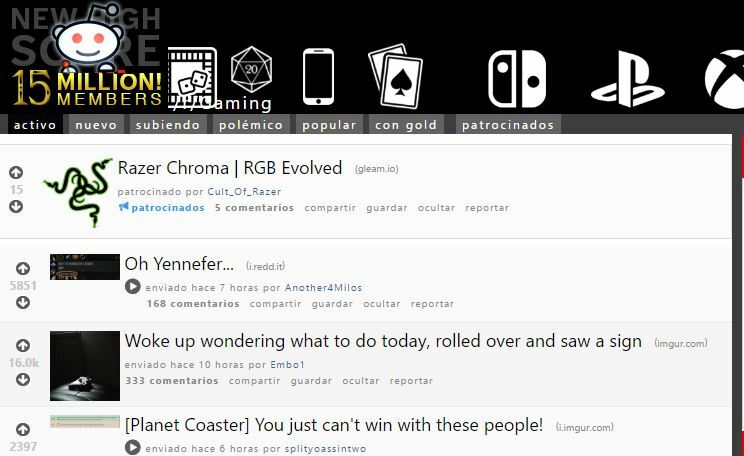 Let’s say that you like games; there are various subreddits on games such as video games, board games, card games, Etc. As you can see, you’re always going to find a sub-community on Reddit that best fits your likes on just about everything. All you have to do is find the best subreddit on topics of your choice and subscribe to it. Some random subreddits are easier to find but if you want to find the best subreddits, you’ll have to dig deeper in analyzing the number of members as well as how active they are in that particular subreddit. Unfortunately, going through such research on subreddits and finding the best subreddits is not easier, especially if you are a new Reddit user. Thankfully, I have gone through all this subreddit thing and found 34 best subreddits for you that are worth subscribing to on Reddit. Let’s explore these subreddits and why they are useful. Whether you’re majoring in Psychology or are just a fan of the subject this is a subreddit you want to check out. This is a subreddit that focuses on legitimate research and scientific findings. You won’t learn mind-controlling techniques, but it’s a great subreddit to take a look at. It’s always a good thing to ask questions. You know what they say that knowledge is power. If you’re having trouble finding an answer you have about the past this is the subreddit you want to go. This is one of the best subreddits for history enthusiasts where experts will give you an answer you’ll be happy with. You can ask as many questions as you want and finally get the answers you need. If you’re tired of your friends giving you strange looks every time you want to talk about literature, then this is the best subreddit for you. You can talk to other fans of short stories, poetry, and novels. Science can be a pretty complicated subject and sooner or later you’re going to have a question. When that time comes, this is the subreddit you want to join. You’ll talk to experts from various fields that can help you with your question. If you have a human brain, the questions in your mind never end. If you have a question you want an answer to, this is the best subreddit you may subscribe to on Reddit. Though there are particular subreddits for specific subjects like /r/AskScience, /r/AskHistorians, etc. as I mentioned above, AskReddit is a subreddit that is not focused on a particular topic. You may ask anything and get an answer on this subreddit. r/GuiltyPleasureMusic is a subreddit that doesn’t need an introduction. It’s a place you can go and finally tell someone what your guilty pleasure is. Not sure what a guilty pleasure is? It’s a song that everyone hates or makes fun of because it’s so horrible, but you love it. r/ExplainLikeImFive is a great subreddit to join if you’re tired of hearing complicated explanations about what you’re trying to learn. Just like the name of the subreddit, this is a community where you’ll find an easy to understand explanation of what you need to know. r/Futurology is the place to go if you love reading about technology that doesn’t have the words Apple or Samsung in them. Here you’ll find out about the latest projects man is creating and the most fantastic technologies being created. Discover the latest in space travel, biohacking, exoskeletons and more! r/Gaming is a subreddit you have to join if you love video games. It is one of the best subreddits for video game lovers. This is the place to be if you want to be updated on everything that happens int he gaming industry. Here, you can also discuss your favorite game with other players that are just as good as you. r/Gifs is yes, you guessed it, where GIF lovers go. If you’re addicted to GIFs, this is one of the best subreddits to go. You’ll find GIFs on just about anything such as breaking news, natural disasters, new technologies, art installations and more. r/Photoshop_Battles is your home away from home if you love what the software can do but just can’t figure out how to fo it. You submit a picture and other members of this subreddit edit it for you. The result can either be amazing or very funny. Do you like laughing at people’s dumb mistakes? If you do them r/Instant_Regret is your subreddit. Here you can laugh at people who regret the decision they make and feel even better about yourself. r/IAmA is one of the most famous subreddits out there. This is where informal question and answer sessions are done. IMA is short for ask me anything, and this is where you can ask a firefighter, NASA scientist, and other professionals what it’s like doing what they do. With r/Food, you can finally talk to others that love food as much as you do. This is the subreddit where you’ll find the best recipes to impress your friends with. Get the recipes you’ve been looking for with pictures and everything. 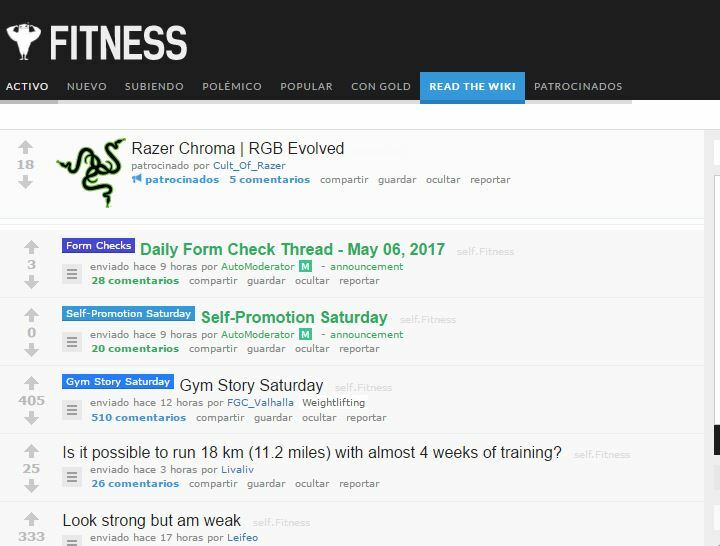 r/Fitness is the subreddit that will help you reach your fitness goal in no time. This subreddit divides the days of the week into a different fitness subject such as moronic Mondays, training Tuesdays, rant Wednesdays, nutrition Thursdays and so on. r/Nononoyes is one of the best subreddits if you love seeing how the disaster is averted at the last minute. It could either be how a car accident is avoided or fantastic recoveries from athletes. Need someone to talk to? Then you should definitely check out r/Casual Conversation. If you want to talk to someone that has nothing to do with your problem so you can get an impartial opinion, this is one of the best subreddits you should subscribe to. Like I mentioned before “Knowledge is Power” and if you want to learn as much as you can about the subject visit r/I WantToLearn. There are more than 165,000 users in this subreddit ready to help you with whatever it is you want to learn. With r/BestLegalAdvice you can get some much needed legal counsel for free. If you’re not sure how serious your problem is, this is one of the best subreddits to start. If you want to laugh at some funny tech support stories then r/TalesFromTechSupport is the subreddit to visit. Here you’ll read some stupid customer service stories, as well as some, feel good stories (just to mention a few). r/WhereDidTheSodaGo is a great option if you want to laugh at some advertisements. These are the kinds of advertisements that weren’t made with the intention to be funny but that’s the way it turned out. You’ll find funny GIFs and videos of commercials and advertisements. Do you love taking care of the earth? If you do then visit r/Environment. Here you’ll meet others that love the planet as much as you do. If it has to do with Earth, it’s talked about here. r/PersonalFinance is a subreddit that can be really helpful when you can’t find an answer to your financial question. If you ever have a tax question outside of tax season, now you know where to go to get your answers. Politics is all around us and whenever you want to talk about the subject you can in this subreddit, r/PoliticalDiscussion. If politics is not a popular subject amongst your friends, it is here. r/ITookPicture is one of the best subreddits for all photographers. It doesn’t matter if you’re a beginner or a professional, you’ll be welcomed. You can also ask for some useful feedback to improve your photography skills. If you just need to know everything there is to know about Anime then r/Anime is the best subreddit for you. Get the latest on shows, discussion and more! This is where every Anime fan should be. r/InternetIsBeautiful is where you need to go if you want to be surprised by all the shocking things on the Internet. Users share the weirdest to most fascinating sites they have come across online. r/BookClub is one of the best subreddits to be for book lovers. There’s always a book to talk about every month and you are invited to post any book you’ve read or are currently reading. A great place if you love reading. Do you love animals and going Awwwww all the time? If so, then you’re missing out by not checking out r/Awwducational. This is the subreddit where you can read about cute animals facts and at the same time look at the most adorable pictures. If you think that those pants go with that shirt then you need to visit r/MaleFemaleFashionAdvice. If you’re too embarrassed to ask your friends about fashion, this is where you need to go. You can ask all you want without being made fun of. r/Relationships – The Internet is full of the best and of the worst. That includes advice on how to carry out your relationships. You can talk to others that are going through the same problems and ask how they are dealing with it. r/AskSocialScience is a subreddit that can be a real life saver if you’re still in high school. You can ask things that have to do with political science, sociology, economics and more. Here’s where you can get the help you need on the subject. Last but not least you have r/FanTheories where you can create your own theory about your favorite movies. Create theories of how your favorite movie should have ended and other crazy things as well. Reddit is full of so many great subreddits that you won’t know where to start. Well, you could start with the ones I just mentioned. 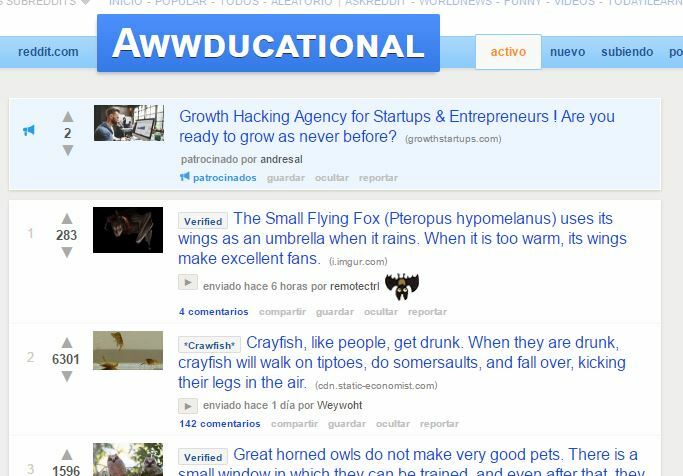 These are some of the best subreddits you should consider subscribing. Don’t forget to drop a comment and share which one is your favorite. Previous: How to Download Personalized Happy Birthday Song Sound Clip with Name?